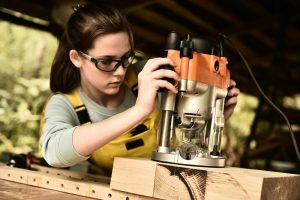 Even though the popularity of do-it-yourself projects might have waned somewhat since the boom it experienced in the 90s, it still plays a big part in our lives. The average Brit spends over £1000 a year on home DIY, creating a £22 billion industry. 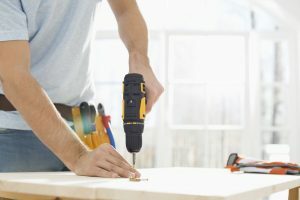 With millions of British people undertaking home DIY every year, it is important to note that many have very little or no experience in this area. As a result, not all projects go as well as we might hope. Over 50% of British men have admitted to wrecking their home DIY projects. If you are a DIY beginner, read on for our expert tips on how to successfully complete a project, making sure cost, fuss and stress are all kept to a minimum. You’ll find plenty of manuals and written guides on how to perform certain DIY tasks, but sometimes, this just won’t cut it. When you build flat pack furniture, the instructions are visual, not just text-based. This is because we are performing a physical task, making instructions that translate in the physical world more effective. Video tutorials are a powerful tool that every DIY beginner should utilise. They provide memorable instructional material on how to carry out home improvement tasks. The visual aspect really helps you understand how you should be carrying the task out. You can also gauge whether or not your DIY project is completed correctly, based on how similar it looks to the finished product in tutorial videos. The world’s most famous plumber, Nintendo’s own Mario, is somebody that does not carry the appropriate tools with him. As a result, he’s pretty awful at his job. 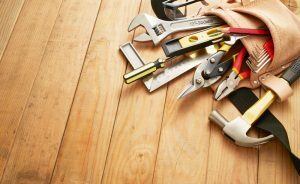 The right tools are vital for completing your planned home DIY project. It may sound obvious, but this can be an area where many home DIY projects are tripped up. The reason hundreds upon hundreds of different types of tools exist is not to confuse you or vex tradesmen with expensive business costs, but because different actions require different tools to complete. Investing in the proper tools for the home DIY project is crucial for successful completion. Failure to get the right equipment, instead using substitutes you may already have lying around the house, increases the chance of a project going wrong. Wake up early and get on with the project. As your energy levels dip throughout the day, you’ll likely suffer from a lack of motivation to complete projects and find it harder to get them finished successfully. Getting to work in the morning and focusing on your home improvement project gives you a higher chance of project completion. For some tasks, this is more important than others. If it isn’t high priority, like putting up office shelves, delaying your home DIY efforts won’t really be that detrimental. If it is more pressing, like making sure your living room has flooring, getting up early is often a good idea. As with everything in life, home DIY doesn’t always go smoothly. Tools break, wood splits, personal problems interrupt the project, or the tea bags run out — in which case, work becomes impossible. If one of these tough and equally challenging situations does occur, you don’t want to be left on the back foot. If you haven’t factored mishaps into your time, you might find that your DIY project goes unfinished, as you have to return to work or get on with other commitments. Make sure that during your planning stage, you work out a rough estimate of the time it will take to complete the home improvement project, then extend that time relative to your estimate. For example, if it’s going to take two hours, allow three. If it’s going to take five days, allow six. DIY is hazardous, full stop. You are dealing with tools, sometimes machinery and perhaps even some fearsome-looking blades. Now is not the time to be headstrong and stubborn. Over 200,000 people are injured every year while carrying out DIY projects. This varies from a hammer splitting a thumbnail to injuries so serious that emergency care is required. Be sure to kit yourself out in every piece of recommended safety equipment for your home improvement task. This means appropriate clothing and safeguards, such as gloves, eye protection, helmets and circuit breakers. An injured home DIY worker is one that is out of action, who can’t complete a project successfully. Safety may seem cumbersome at times, but being safe ensures you stay on track and don’t suffer some nasty, permanent reminders of your home DIY efforts. Not all home improvement tasks are do-it-yourself friendly. Sometimes, even the most experienced DIYer needs to step back and say: ‘I need to get in local tradesmen, not manage this one myself.’ Anything to do with plumbing or electrics should be carefully considered, and anything to do with gas should be left well alone. The basic rule of thumb is: if you need a qualification to build a career in the trade, you might need help to complete the project. Some aspects of kitchen or bathroom renovations, for example, can be done safely as a DIYer. However, when working with plumbing and electrics, there is always a potential to do more harm than good. The more complex the job, the more room there is for a mistake — mistakes that involve electrics and plumbing can be very expensive. Avoid undertaking tasks that require more than a basic knowledge of how the electrical or plumbing systems of your house work. Things like changing a light fixture or replacing taps are usually simple enough for somebody with a little bit of know-how. 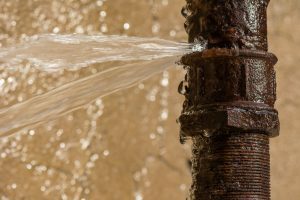 But, when it comes to the likes of fitting sockets, installing an electric shower or making changes to the plumbing of your house, best leave it to the pros. Great tips! Been doing DIY projects for quite some time now and I think that you have come up with a useful list of tips. We should never take safety for granted. Thanks for sharing this!